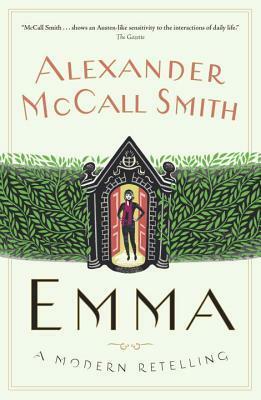 Alexander McCall Smith’s Emma is a funny and intelligent modern re-telling of the Jane Austen classic. McCall Smith is a master at language, and his take on the story features many wry observations and witty one liners that recall Austen’s style. I particularly liked the updating of Mr. Woodhouse, now a rather neurotic scientist and overprotective father. Miss Taylor as well, as Emma’s governess, is a snappy and smart foil to Mr. Woodhouse, a caring guardian to Emma yet also a very practical modern woman. Perhaps the characters in this particular Austen just don’t translate well to the contemporary era — George Knightley in particular seemed more pompous and self-righteous than I remembered. That being said, Amy Heckerling did a fantastic job adapting Emma into the movie Clueless. Granted, Clueless is a much looser interpretation of the original Austen, but it keeps the heart of the characters — Alicia Silverstone’s Cher is exactly how I’d imagine a contemporary (well, 1990s) Emma to act. Clueless is dated, even today, but it still feels fresher and more natural than McCall Smith’s Emma. I actually enjoyed reading McCall Smith’s Emma. It was a fun, lighthearted read, and while Emma and Knightley irked me at times, McCall Smith’s deftness with language kept me entertained throughout. I also understand that McCall Smith’s project with this book was in no way similar to that of Clueless, and it would be unfair to compare both. This is a funny, well-written book, that felt just a tad too constrained by its purpose. I enjoyed reading this book, but I also kept wishing that I were watching Clueless instead. This entry was posted in Book Reviews and tagged 50BookPledge2014, Alexander McCall Smith, Fiction, Historical, Jane Austen, Random House Canada, Romance by Jaclyn. Bookmark the permalink.